After their painful past, Nicole wants a divorce. But to get her out of his system Rocco offers a deal: before moving on with her life, she will be his one last time! As Alice defiantly informs Adoni Petrakis of her pregnancy, memories of his skilled touch overwhelm her! His contract to claim her is shocking — so is realizing she’s inescapably in his thrall! 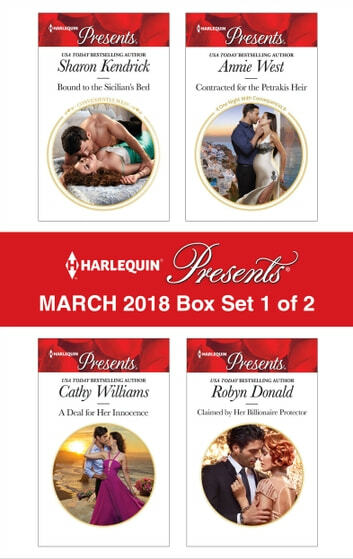 Be sure to collect Harlequin® Presents’ March 2018 Box Set 2 of 2!